General Description: Grutas Tolantongo Hot Springs is on every hot spring enthusiast bucketlist. 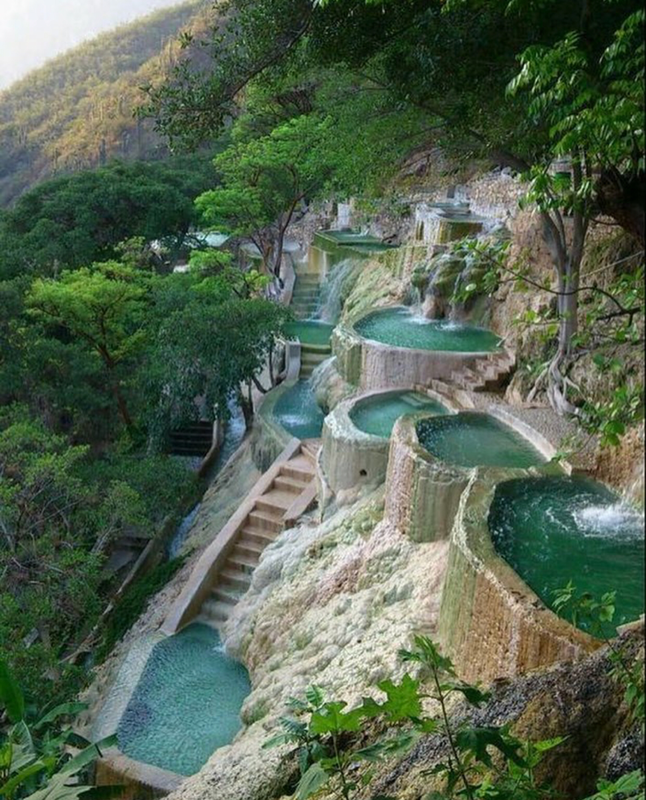 ​The park has two areas to have your hot springs wonderland adventure there are the Paraíso Escondido and La Gruta . In these magical geothermal areas there is an array of hot springs soaking adventures including the Hot Sptrings Grotto, the Hot Springs Tunnel, Hot Springs River, Hot Springs Swimming Pools, Hiking through a Hot Springs Cave, Geothermal Infinity Thermal Pools, Suspension Bridge over hot springs, and Hot springs Waterfalls. Location: From Mexico City, Mexico it is 200 KM or 3 1/2 hours drive. Accessibility: Grutas Tolantongo is very accessible by car and bus. You can drive up to the resort. Once at the resort it is a moderate hike around to access the hot spring pools. This hot springs is handicap accessible. Hot Spring Tips: Grutas Tolantongo Hot Springs bathing suits are required. This resort is not pet friendly. Reservations are strongly recommended. The resort is very popular. Accommodations are available. There is a hotel and camping. There is no reservations for hotel accommodations. Hotel and camping stay does not include hot springs park entrance. There is a restaurant and food available. Water shoes are recommended. Babies need to have a swimming diapers. Kids are welcomed at the resort. This is a family destination. There is a zipline at the park. The park has a shuttle service from Ixmiquilpan Hgo. The Grutas Tolantongo water park is in service 365 days a year (including holidays). Youtube Video on Grutas Tolantongo Hot Springs is below.